Yoko Taro is a challenging person to interview. He’s the pre-eminent video game auteur going around; a creative that approaches his work with a healthy dose of reflection and transgression, and with an equally healthy taste for the surreal and sublime. 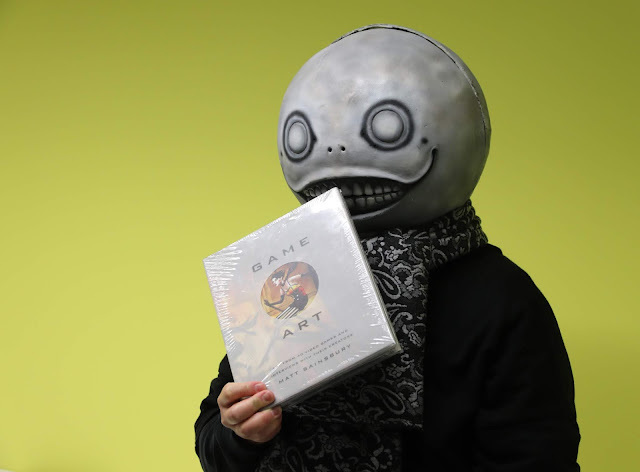 His approach to game design also flows into his public persona; whenever he’s seen in public, on panels or stage, video or anything else, he dons a mask based on Emil, one of his more enduring characters from the NieR franchise. In private interviews, he takes it off. I’ve seen the inside of it. It looks hot, heavy, and uncomfortable. Yoko subjects himself to the mask because he wants people to focus on what he puts into his games, rather than identify them to him personally. That commitment to being seen as enigmatic is why he’s a challenging person to interview. Ask Yoko about his personal influences or sources of inspiration, and he’ll almost always deflect. Yoko clearly has an interest in philosophy. His most recent work, NieR: Automata, contains characters that are explicitly based on philosophers such as Jean-Paul Sartre and Simone de Beauvoir, and these are simply not names or references that would simply occur to you if you weren’t familiar with their work. Particularly when your work is heavily laden with existentialist themes, and you’ve named a key character (Jean-Paul) after the modern face, mind and soul of existentialism. There’s even an amusing anecdote about how hard Yoko had to work to get the character to have the name he wanted it to have. “In the Japanese version of NieR: Automata his name is Sartre, but when I tried to localise it, I had to change his name to Jean-Paul,” Yoko said. “The Sartre estate is really strict about copyright (it’s true: there’s a lengthy essay on the challenges that one author had with trying to deal with the Sartre estate at The Monthly). To try and get around it I tried to name the character “Sartre 2” or “Sartre X” but Square Enix didn't want to risk those names either. And yet, even as he busily implements philosophy and joking homages to philosophers into his games, ask Yoko about his thoughts on philosophy, and how he thinks about philosophers, and he’ll keep his response firmly tongue-in-cheek. “I’ve never actually studied philosophy myself, but when I inspect humans, I get very interested by philosophers, because as much as what they are saying sounds cool, deep inside I believe they are all insane, and that’s what interests me," Yoko said. “Which philosophy books do I enjoy and recommend? Personally there aren’t too many, but there are two that are really easy to read books which I love. One is by an author called Will Buckingham and the book’s title is “The Philosophy Book: Big Ideas, simply explained” And the other one is by an author called Nigel Benson and is called the “The Psychology Book: Big ideas, simply explained”. 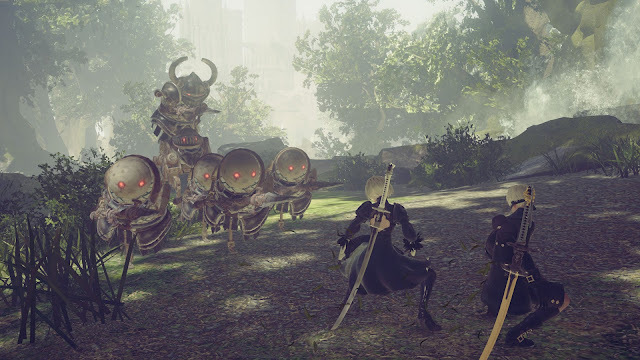 So if Yoko Taro’s next game is a weird hip-hop rhythm game with the aesthetics of A Clockwork Orange, I guess I'll be taking credit for that (and we all would like to see that anyway). Yoko Taro has some amazing ideas about future directions that games might go. He firmly remains a fan of games as a storytelling medium, in an era where eSports and the likes of Fortnite is driving a major push towards contextless games. Yes, people keep chalking those kinds of games up as having “emergent storytelling,” but much like "ludonarrative dissonance" from a half decade ago, emergent storytelling is a buzzword that’s used far too often by people who aren’t really using it correctly. Putting that discussion aside, Yoko is convinced that the ebbs and flows of the games industry will bring storytelling right back to the fore. “This is a huge debate when it comes to games – should we care more about story, or freedom, when it comes to games?” Yoko said. “Games are often being designed after reality – they are trying to emulate and recreate reality, and reality means freedom. 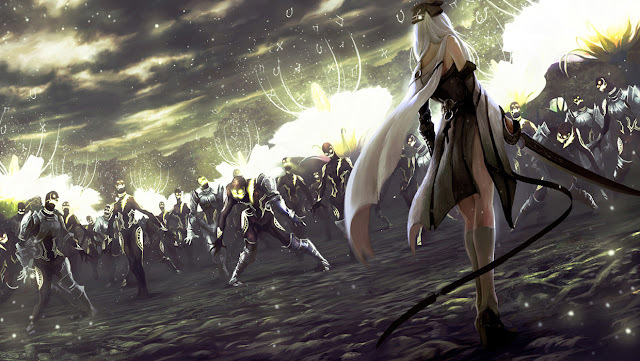 “So why is it that when we add more freedom to a game, or take it step towards reality, it has less story?” Yoko said. “That’s simple: it’s because reality has no story. In other words, it seems like Yoko shares a similar vision for a future of augmented reality as Matsuda Keiichi did with his short film, Hyper-Reality. Only Yoko’s vision is that much more pleasant and engaging. “So when you meet a beautiful lady, music will automatically play in the background. Wouldn’t that make life more dramatic?,” he laughed. You have to hope that it’s Yoko, not Matsuda, that’s the more accurate prophet of the future. One of the most common cosplay subjects at this year’s SMASH! convention in Sydney (where Yoko was a headline guest and the location for this interview) was NieR: Automata’s principal hero, 2B. The short-cut white hair, distinctive eye covering and short, one-piece dress seemed to pop up wherever you turned. 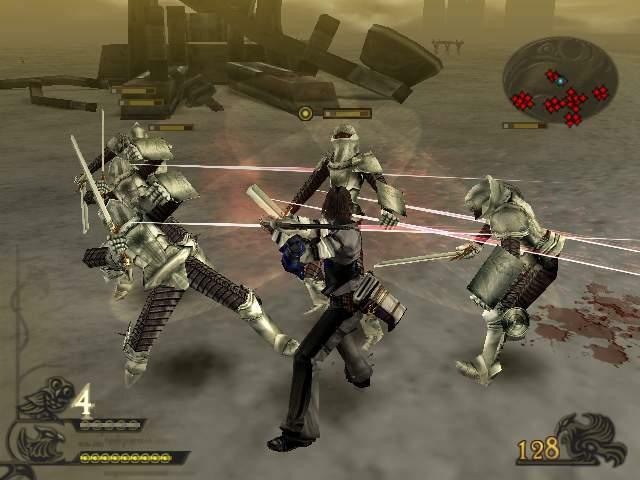 It’s not that surprising in the context that NieR: Automata was one of the top selling games for Square Enix in recent years, but at the same time it was a reminder that Yoko and his development team got away with a costume that many other developers would have been crucified for; the costume is very easy to chalk up as fan service. Not that Yoko himself saw it as that: “I’ve had some people ask me if the short skirt was there to help the fan service, but the reason that she’s wearing the short skirt is simply that I like short skirts, I didn’t mean it for fan service,” Yoko laughed. “Actually, when it comes to actions games, there’s some huge restrictions on what you can do when it comes to clothing. When you put a long dress on a character it really limits their movements. That’s why it comes to the decision that it needs to be something like a short skirt, or something that is directly onto the skin, such as a leotard or pants. And certainly 2B epitomises the kind of character that everyone can get on board with; she’s a powerful character with a great deal of agency. It’s just that, much like Juliet Starling from Lollipop Chainsaw a few years ago, it’s fascinating to see how the popularity of the character with cosplayers can transcend the reputation they might have as fanservicey characters. Yes, Yoko Taro is a challenging interview; he’s clearly one of the most deep thinking and genuine creatives working on major video games, but he also remains committed to getting people to focus on the stories and ideas he’s sharing through his games, rather than his personal reflections as the creator. It’s going to be fascinating to see what comes next for Yoko. For the first time in his career, his next game will be following a major commercial and critical hit. Before NieR: Automata Yoko’s games appealed to a small, niche audience at best. You have to assume that Yoko’s style and approach to game design means that he’s going to be doubling down in a big way.